Japanese automaker Honda has been preparing for the inevitable launch of hydrogen-powered vehicles around the world. The company has been investing in developing the infrastructure required to support these vehicles while also making efforts to resolve the price and efficiency issues that are common with fuel cell technology. The automaker already has significant experience with hydrogen-powered vehicles, having launched its FCX Clarity in 2008. Now, the automaker has unveiled what is expected to be the next generation of its hydrogen fuel vehicle. Honda has revealed its FCEV Concept, which it plans to demonstrate at the Los Angeles Auto Show later this month. At the event, Honda is expected to showcase the vehicle and its features, paying special attention to the vehicle’s hydrogen fuel cell, which has been developed by Honda itself. Few details are currently available regarding Honda’s next generation vehicle, but it is expected to have an operational range of at least 300 miles per tank of fuel. When it comes to hydrogen-powered vehicles, infrastructure is a major concern. Much of the world lacks the hydrogen fuel infrastructure to support the commercialization of these vehicles. Automakers have taken note of this and have been working to address the issue for some time. The auto industry is not alone in this endeavor, of course, as many governments have also begun working to bolster their hydrogen fuel infrastructure. In California, for instance, the California Fuel Cell Partnership has been working to build new hydrogen fuel stations throughout the state. 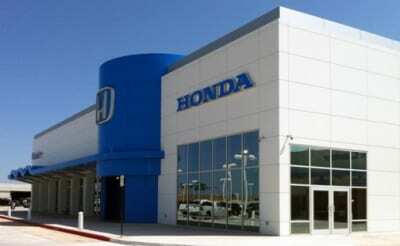 Honda plans to launch its next generation hydrogen-powered vehicle in the U.S. and Europe in 2015. This vehicle will be launched alongside similar models that are coming from other automakers. Hyundai is currently the only automaker that has plans to commercialize its own hydrogen-powered vehicle in 2014.